If you like your spaces to be ‘wide open’ ones, you could do a lot worse than the Forest of Bowland, a tiny bit of wildness tucked away between Lancaster and the Yorkshire Dales. Go expecting trees and you will be disappointed, as it’s an ancient hunting forest. 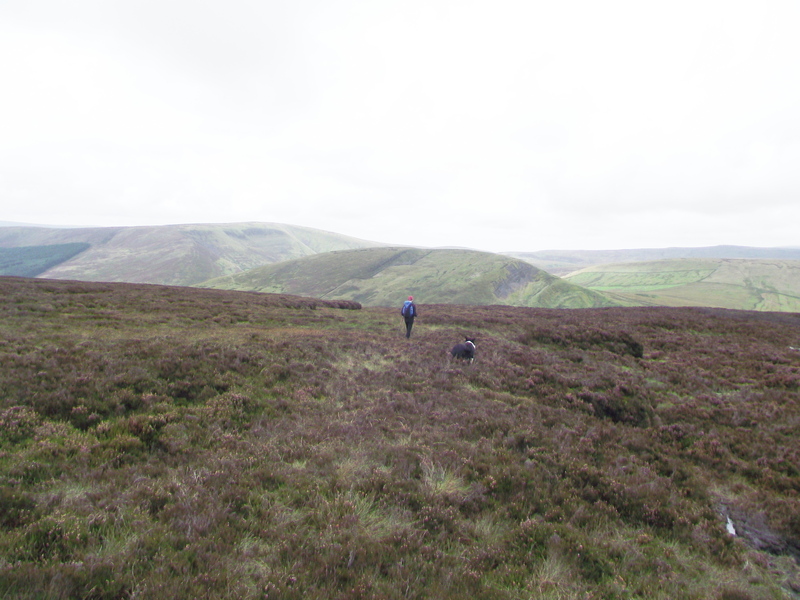 Instead, expect to find empty peat moors with isolated gritstone edges. It’s not particularly pretty (though it does have a wild grandeur) and there’s little drama. For me, though, these are the hills of home. 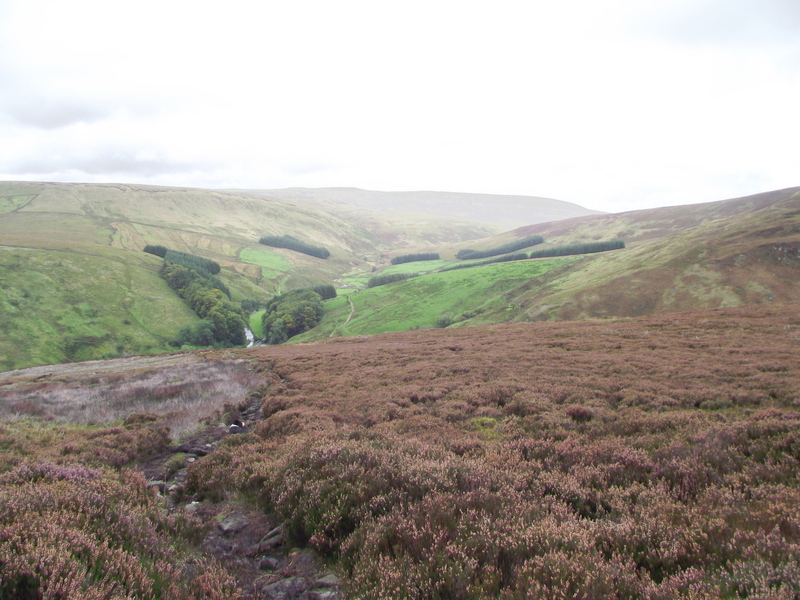 I had really enjoyed last weeks visit to the north of the Peak District, as it reminded me of my earliest hill-walking days. 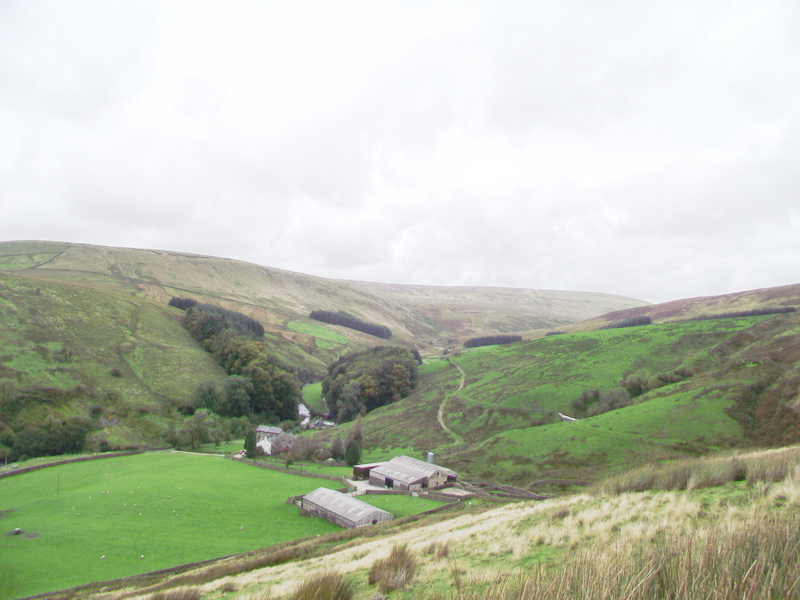 In my early teens I cycled with my mate Sam to the hills near Dunsop Bridge – Sam was keen on birds (feathered ones, but we were only 13 at the time!) 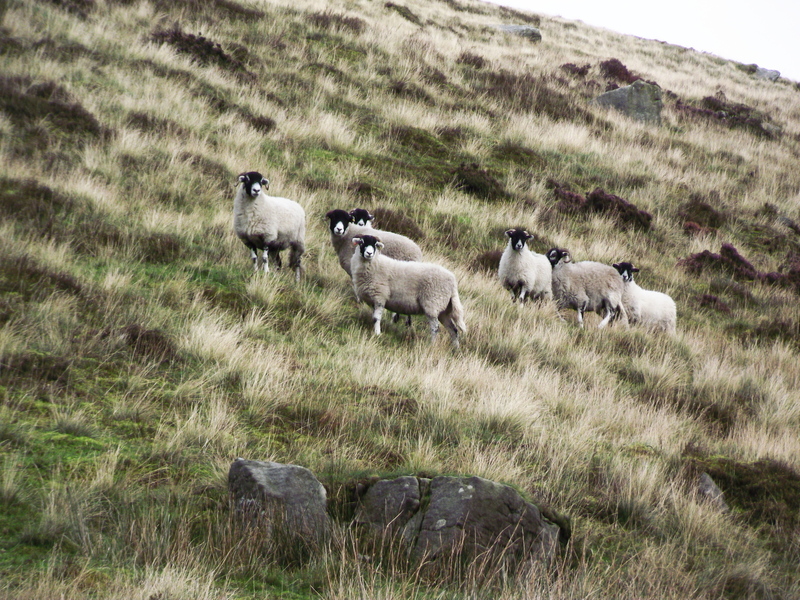 and he wanted to look at a gull colony on the high moors. We biked about twenty miles then started walking. At the time I hadn’t a clue where we were going, and neither I suspect did Sam, though I can now trace the route on the map. One thing I do remember about that trip, though, is not wanting to turn back – I just wanted to carry on, to see what was over the next horizon. I’ve been doing that ever since. I suppose it’s what you call a ‘life changing moment’. 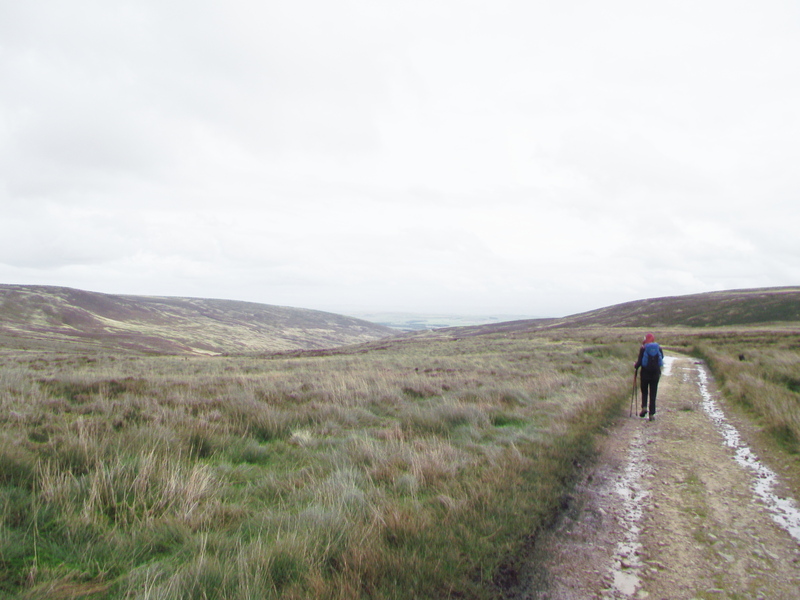 My early wanderings were mostly in the southern part of Bowland, and I hadn’t returned to the northern bit since that trip with Sam – well, there’s a limit to how far you can explore when you’re 13 and using a bike to get to the hills. 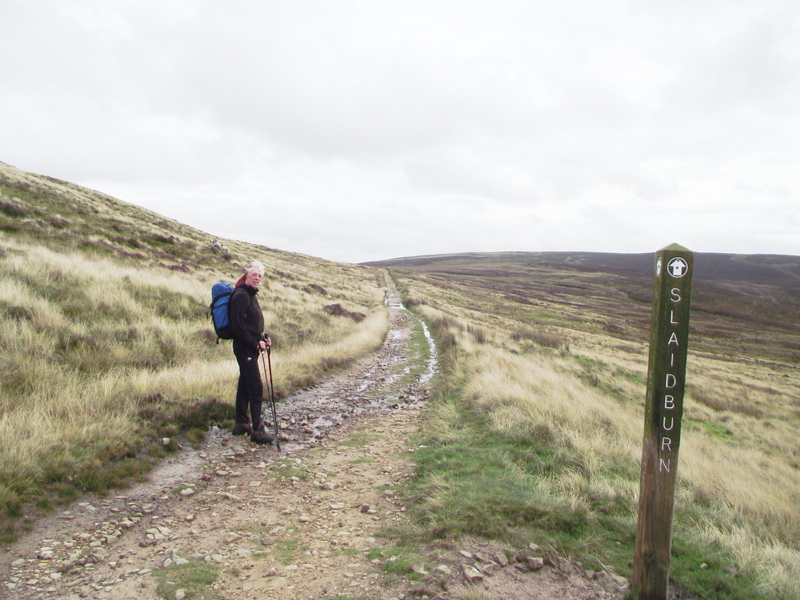 By the time I had a driving licence I wanted to visit bigger and more dramatic hills, so despite the fact that the hills of Bowland are the hills of home, there remain sections that I have never walked. 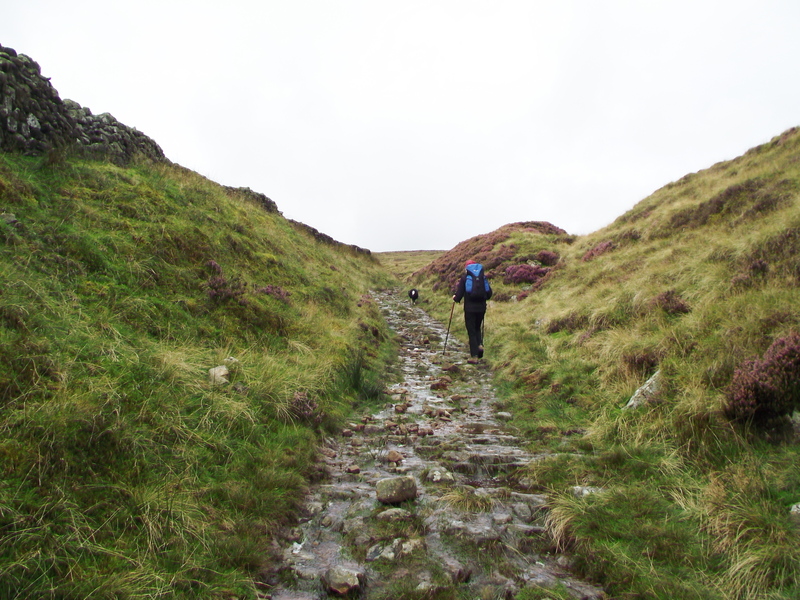 Looking down the track leading to isolated Whitendale Farm – a long way to the shops! 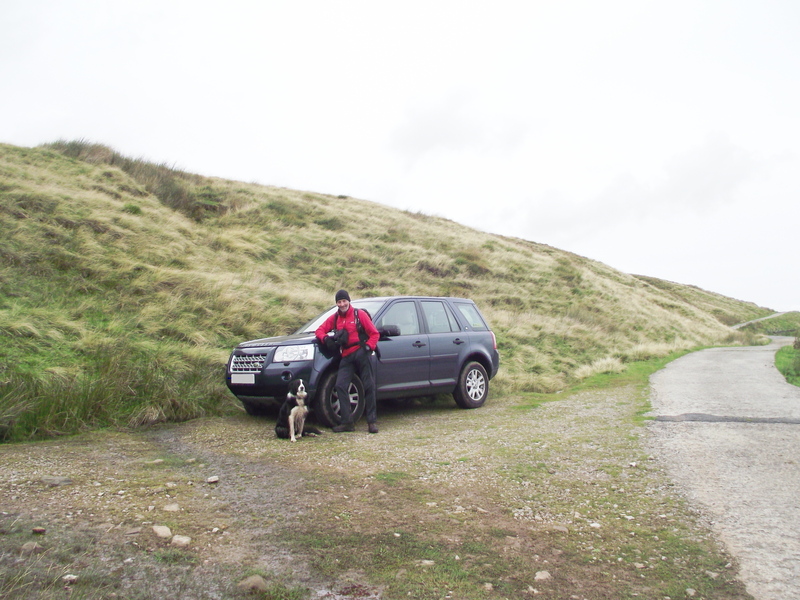 It was about time I returned to unfinished business in Bowland, so Chris and I (and t’dog of course) set off to Slaidburn to fill in a gap in my Bowland experience. 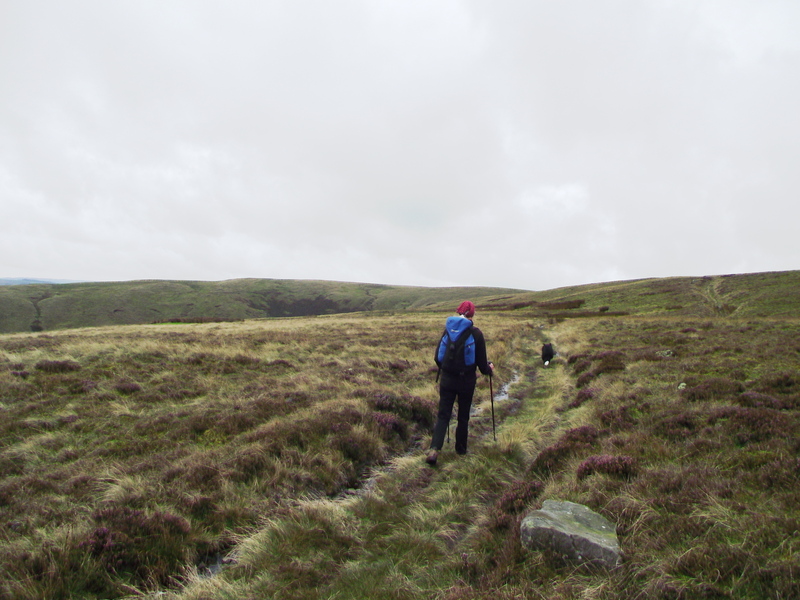 We started up over Dunsop Fell, heading for the lonely farm at Whitendale, a short distance but over typical gritstone moors – a combination of peat and water! 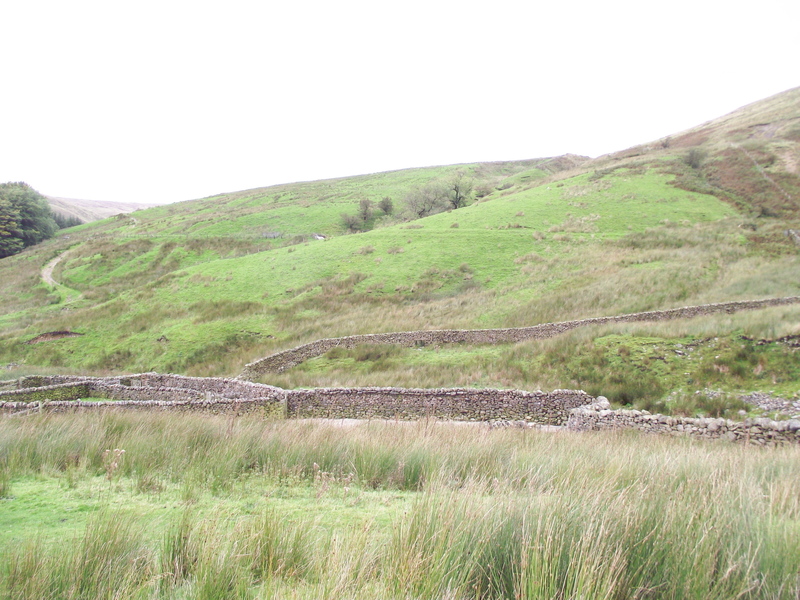 From above, Whitendale farm looked incredibly tidy and well kept, an impression reinforced on arrival by some of the neatest drystone walls I have seen. From there we set our course to continue up the valley of the Whitendale River, heading for the Hornby Road. In fact, these quiet hills are full of history, some ancient and some less so. 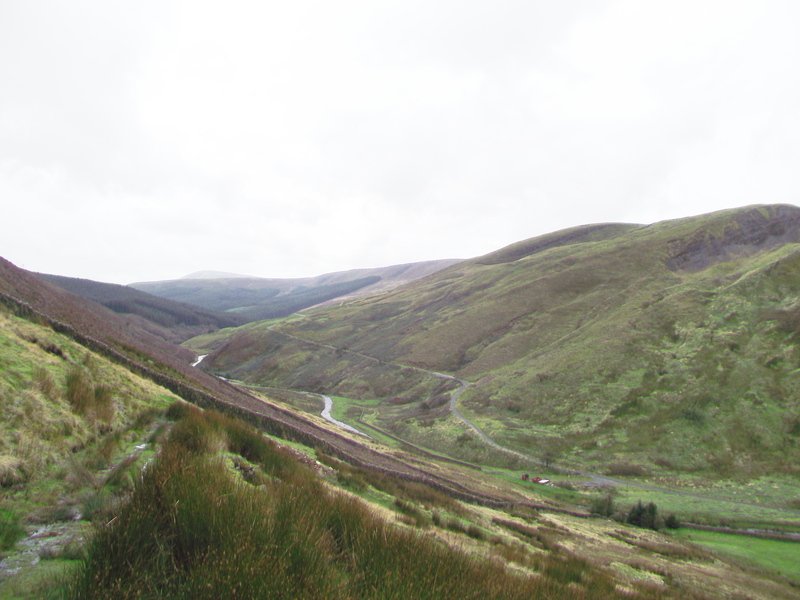 Our route on Hornby Road was less than 1 kilometre from the site of an aircraft crash on Baxton Fell on 26 January 1943, following the collision of two American P38 fighters flying to Northern Ireland to be modified for desert conditions – the second aircraft crashed on Dunsop Fell near to our outward route. Both pilots were killed in the accident. Old instincts surfaced on this section of the walk. ‘Mist’, our Border Collie, is trained to be safe near sheep, cattle and horses, but a couple of hundred years of selective breeding by shepherds leaves a legacy, and several times she went into an instinctive ‘collie crouch’, giving the sheep ‘eye’ – the sheep, likewise, obeyed an older instinct to herd together when faced by a ‘wolf’! 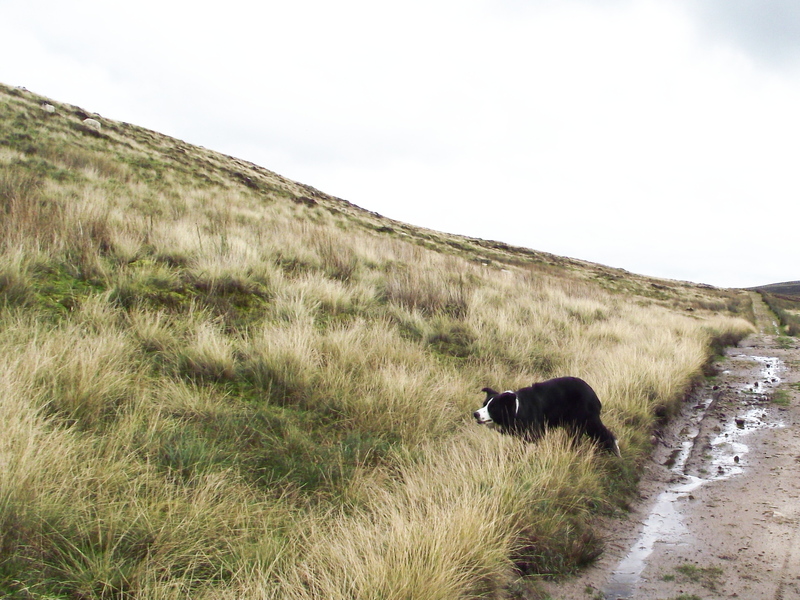 A quick word of command reminded the dog that her herding instincts are now redundant. 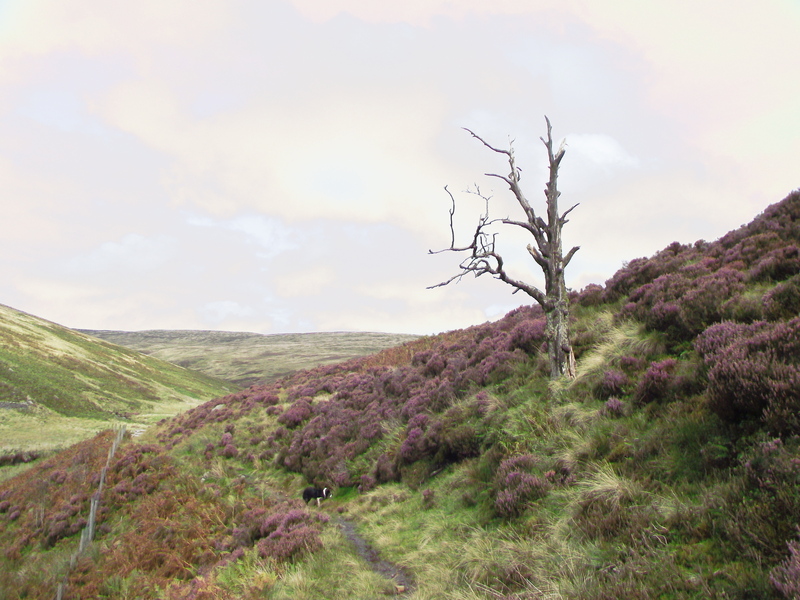 We followed this section of the Hornby Road for about five kilometres, allowing rapid progress, especially when compared with our outward route picking a way through the peat bogs of Dunsop Fell. Before long we were back at the waiting car, ready to rejoin the modern world again. p.s. Busy week this week (hopefully!) Good weather forecast, and we’re in North Wales. I’m hoping to knock off a couple more routes for the Snowdonia Guide for Discovery Walking Guides – the only cloud on an otherwise cloudless horizon is a knee injury that has been a nuisance for the last few days, so I’m travelling hopefully! This entry was posted in 4. 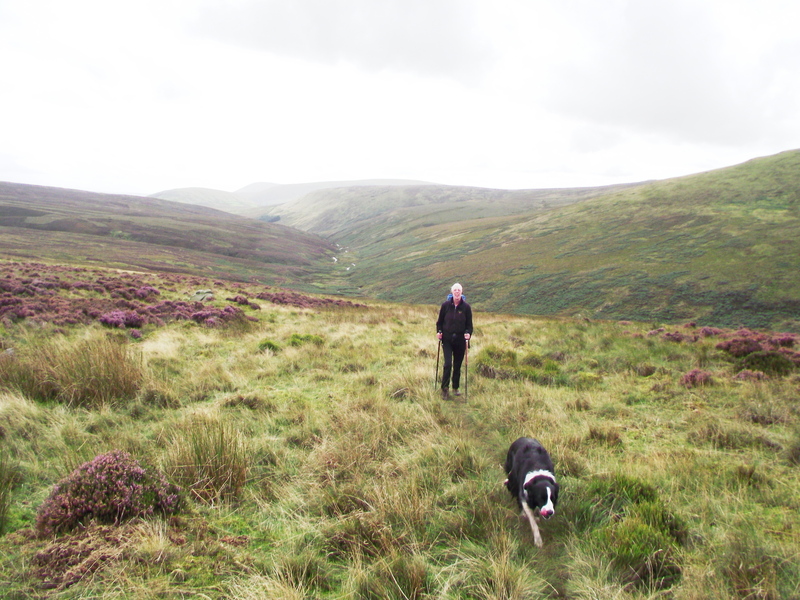 Northern England, Aircrash Sites and tagged Border Collie, Discovery Walking Guides, Forest of Bowland, hillwalking, Lancashire. Bookmark the permalink. ha – didn’t think you could get rid of me that easily did you! We (that is, you and I) are taking a rather long walk tomorrow, in the Carneddau Range in Snowdonia – only thing is, I have tae write it yet!! we’ll be waiting (for all three of ye’s) at the top with a nice cup of tea!! Ah widnae say no tae a wee dram wi that! I enjoyed your reading about your childhood memories of your hikes or walks out in this “forest.” And the pictures are inspiring, too. I spent a fair amount of my childhood in Germany and I think I am still comforted by the gray skies and clouds. My sister and/or some of the local kids and I would walk from town to little town, visiting old castle ruins…and even scraping through the forests’ leaves looking for relics from the same war. I never found anything, but the memories of being out in those woods remain precious to me. Thank you for suggesting and sharing this post.